The World Rally Flying Championship happens every two years and is hosted by one of the participating nations. 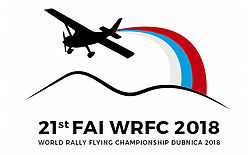 This year Slovakia hosted the 21st FAI World Rally Flying Championships in the town of Dubnica which is along the river Vah (which flows into the Danube) in the northern most valley of Slovakia where the Carpathian Mountain range borders with the Czech Republic and Poland. This year, 50 crews from 16 nations participated, where South Africa was the only Southern Hemisphere team to take part. 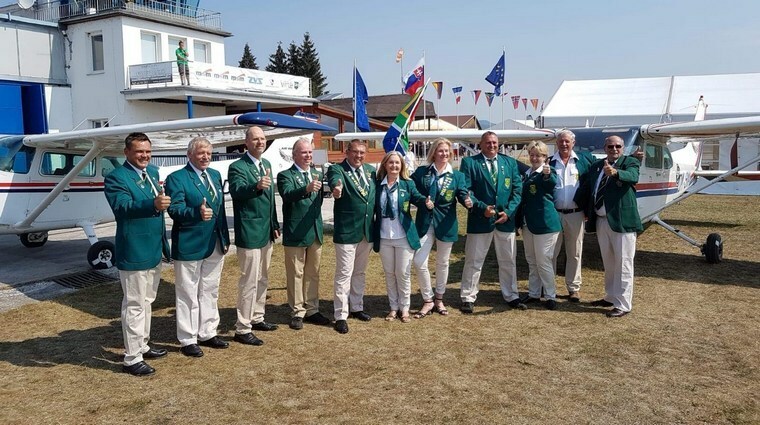 Team SA was represented by 4 crews in the Unlimited Class: Frank & Cally Eckard, Thys vd Merwe & Ron Stirk, Jonty Essor & Sandi Goddard, Rob Jonkers (Team Captain) and Martin Meyer with Mary de Klerk as the Team Manager, Hans & Ursula Schwebel, Jacques Jacobs, Barbara Freibose as International Judges and Leon Bouttell as Judge Observer. 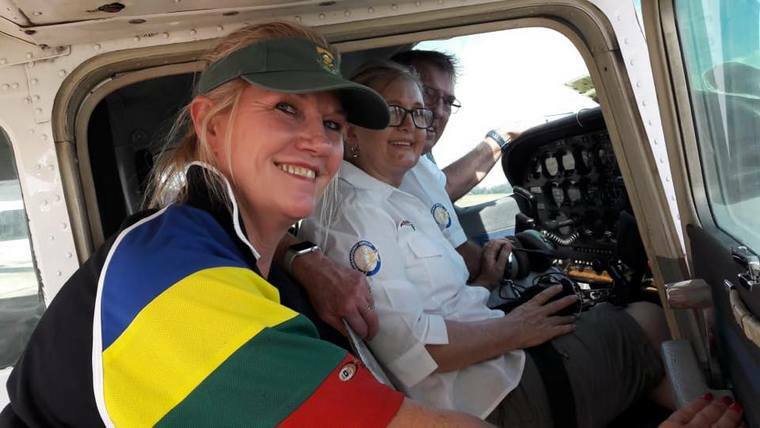 The team was given superb support from Vera Jonkers and Alex Meyer, and later joined by Dr Thys and Rentia Geldenhuys as South African supporters. Our team's arrival was Monday the 30th July. 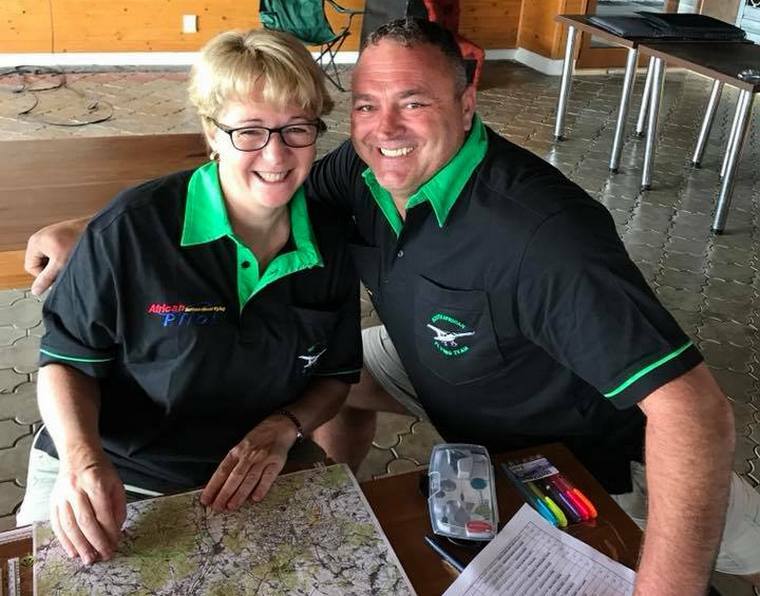 A full week before the championship, team SA are normally the first to arrive, as we need the most exposure to the European conditions and terrain as well as aircraft familiarization, as we need to hire local aircraft. 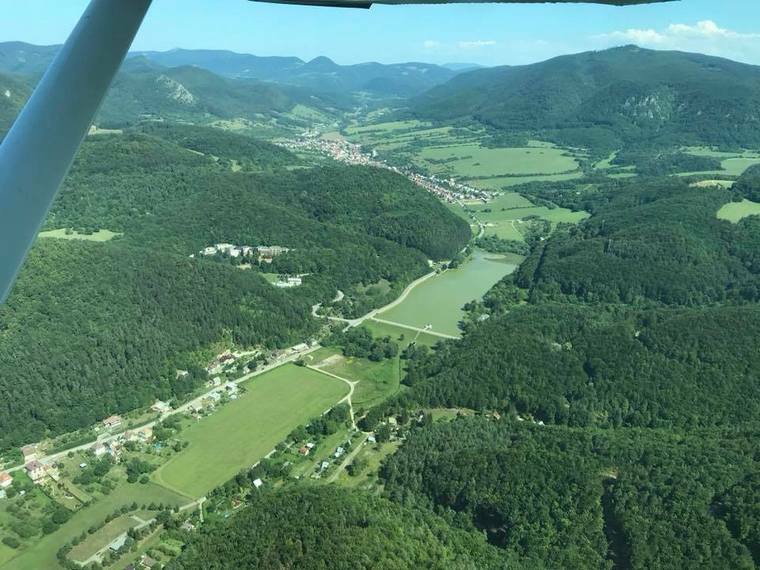 By Tuesday mid-morning we had our first aircraft ready for us, a local Slovakian C172 OM-DCD (DOC) and joined the next morning with another local C172 OM-SNA (SNAP). Thus as a team we could get started with our training. Normally no validations are required, but back in 2010 this club had the bad experience of one of the participating teams have bent two aircraft (by the same crew no less…. ), thus we all had to have a check ride with the local instructor for 2 circuits to verify we could fly, thus by lunch time this was completed. Each team then had a chance to fly a navigation exercise in DOC for the rest of the afternoon till late and with European summer the light fades only around 9 PM. The organisers provided three official practice routes, and these were put to full use in the following days, where we were able to carry out the plot inside the aircraft as one would do in the competition week, giving us a good practice run-up. The landscape varies radically between the valley at 800 ft and mountains going up to 3500 ft, and within minutes of taking off some routes would see you facing a steep climb out over the mountains, with check points often located just behind a steep incline and hidden behind forest features. The weather for the practice week was good without much wind, although some thundershowers had to be avoided, with temperatures mostly above 34 deg, making the cockpit a sweltering sauna, at least in the mountainous areas higher up the cockpit became slightly cooler. For this competition format, there was only an Unlimited class, in previous years there was an Advanced Class as well which was intended to bring in newer or amateur teams which made the competition somewhat more difficult for those teams who had no year round sponsorship or sports federation support. Clearly in the case of Team SA, all of the competitors and judges have to fund their own costs towards the event, travel, hotels and aircraft hire which is almost three times the cost of hire & fly in SA. For the three practice days left from Wednesday to Friday, each of the teams flew the given practice routes, the Red route which was mostly east of the city of Trencin, proved the most difficult, as the terrain was very undulating, with more densely populated areas, making following the route very difficult especially recognizing the map shades of the various features and looking for turn points of minor river creeks and farm road crossings. The routes also had two arcs to follow, and with precessing DI's somewhat challenging to follow round, with the need to rely only on what is going on outside the window and what is on the map, and at least some sense of direction. Some of us re-flew the Red route a second time to get more familiar with the terrain in that busy eastern area. At the end of each day, each of the teams did landing practice to get speed and descent control familiarisation at these near sea level conditions to find that sweet spot of rate of descent at minimum control speed to bingo the landing line, and as most pilots know, every landing is completely different. Saturday was a rest day, with some sightseeing flights and visiting the old town area of Trencin, and Sunday the whole team went to the airfield for our customary team photo shoot with DOC and SNAP, and then returned to the hotel for the opening ceremony in the late afternoon which was somewhat a simple and short event followed by an excellent dinner. For the competition week, flights are organized into two groups, flights start around 10 am at 5 minute intervals with the last flight taking off around 2 pm, and when returning, one spot landing needs to be done. Frank flying DOC & Rob flying SNAP were divided into group one, and Jonty in SNAP and Thys in DOC were in group two. There was a strict procedure of parking aircraft next to the grass runway in take-off sequence where crews were isolated prior to receiving papers, normally around 30 minutes prior the flight starting which each of the routes having around 15 plotting points, allowing 2 minutes per plotting point to prepare the map, the cockpit during this period normally a frenzied affair. As Monday 6th August dawned, the week's weather prediction was good with the latter part of the week with possible rain and wind, with four routes to be flown, one per day, where only three count as towards the competition results, the first day is generally excluded or only used if there were difficulties in completing the rest. Thus the teams set-off on the first Green route which was mostly south across a mix of high ground and next door valley, with two arcs to fly, and given the results of this first day some of us would be happy to have this day excluded from the results. On Tuesday we flew the Yellow route, which was also towards the south, and did a little better, with Wednesday the infamous Red route which proved to be as difficult as the practice Red route in the busy eastern area, and the wind was around 20 kts pushing many off course, what we found especially in this terrain area, that flying at higher altitudes gives better view and perspective but makes the timing over check points more difficult to achieve within the 2 second window. Some teams drifted off course into the Czech Republic, so I guess most would have wished the Red route would be forgotten. As it turned out with many teams complaining that high wind conditions were not declared for this day, that the day needed to be annulled, which the organisers duly did. Thursday was the last competition day for the Blue route, with again high wind conditions predicted, at around 15+ kts, the plots and timing were given with a wind compensation factor, so that is was somewhat easier to fly in terms of consistent speed, although headings would remain a challenge to maintain. With this route most of our teams started to improve on our scores, especially the photo recognition and finding the elusive white markers, so just as we were finishing up on the competition, so we started to get a real feel for the landscape. With the competition flights done, team SA organized the traditional international drinks evening at the field, making "melk tertjies" shooters with the Germans, Italians, Russians, Norwegians bringing their traditional hooch. Needless to say, good fun was had by all. Our supporter Dr Thys Geldenhuys was the designated drinks judge, and judged Germany the best team, and Norway the best food team having brought their traditional Norwegian Salmon all the way from Norway. Friday was packing up day and the closing ceremony and prize giving held at the Airfield, with most of us going for a day outing for some sightseeing before dressing up for the closing ceremony. This day is also when the heavens opened with torrential rain waterlogging many places including the airfield. 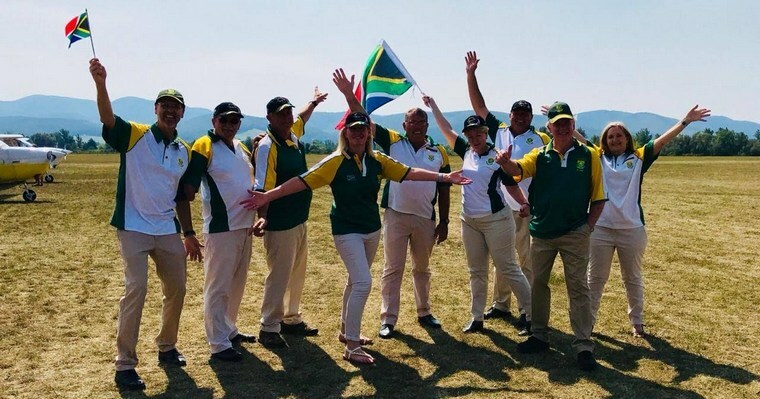 The top prizes went to the Czech Republic, Poland and France, with Poland winning the country team prize, Team SA were in tenth place, and with landings were able to achieve 4th place. It is clear that our teams to compete at the level displayed by the Polish and the French need way more practice and experience, and sponsorship would of course also help, and with the next competition being held in South Africa in Stellenbosch in 2020, we have an excellent opportunity in the intervening 2 years to get more teams to take part and improve our level of competitiveness. 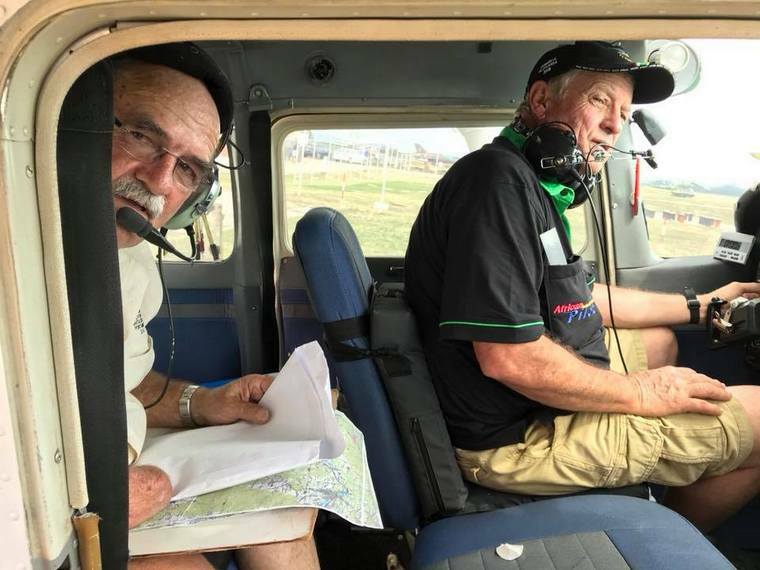 Many thanks to our SA supporters that watch us from afar, also thanks to African Pilot and Absolute Aviation for the team clothing sponsorship, we always are the best dressed team with the best team spirit. For those who have adventure in their blood, where you can sit in an airplane ready to go anywhere without a clue where the route will take you, and figure it all out in the air and find your way around with only a map and eye-ball Mk1, then take up the challenge and join the sport of rally flying.